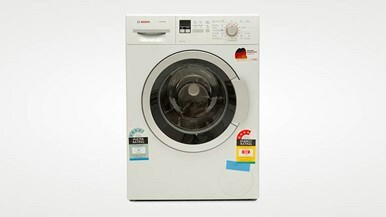 The Haier HWX8040DW1 (8kg Washer) was tested by CHOICE in 2012 - 2018. Washing machine reviews We test both front and top loading washing machines in the CHOICE labs including models from Bosch, Fisher & Paykel, LG, Miele, Samsung and Simpson. We test both of front and top loading washing machines in the CHOICE labs including models from Bosch, Fisher & Paykel, LG, Miele, Samsung and Simpson.